Salt is widely used in the health care and maintenance of Koi. Salt is useful in treating parasites. 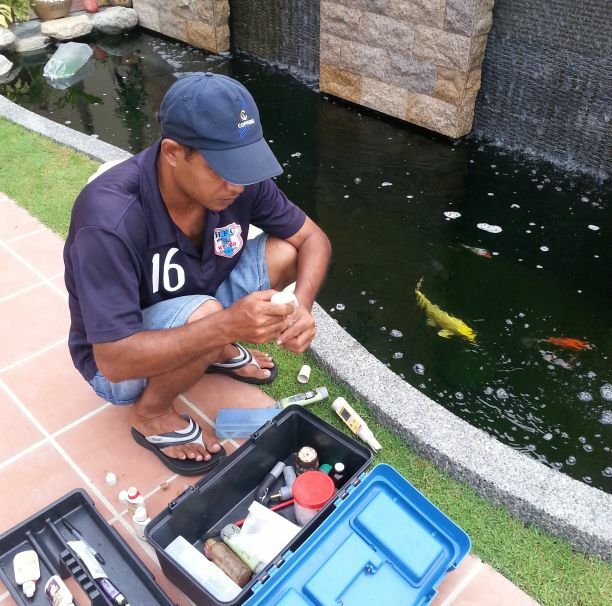 Concentration between 0.3% and 0.5% (5kg salt per 1000-litre water) upsets the osmotic balance of some parasites and dehydrate them, and so ‘clean’ your koi of these parasites. On an on-going basis we recommend that you keep water salinity to between 0.1% to 0.2%. While we have strict regime of salt bath for koi when we receive them, it is still important for you to carry this salt bath procedure (in a separate quarantine tank if possible) before you introduce your newly purchased koi to the pond with your existing collections. 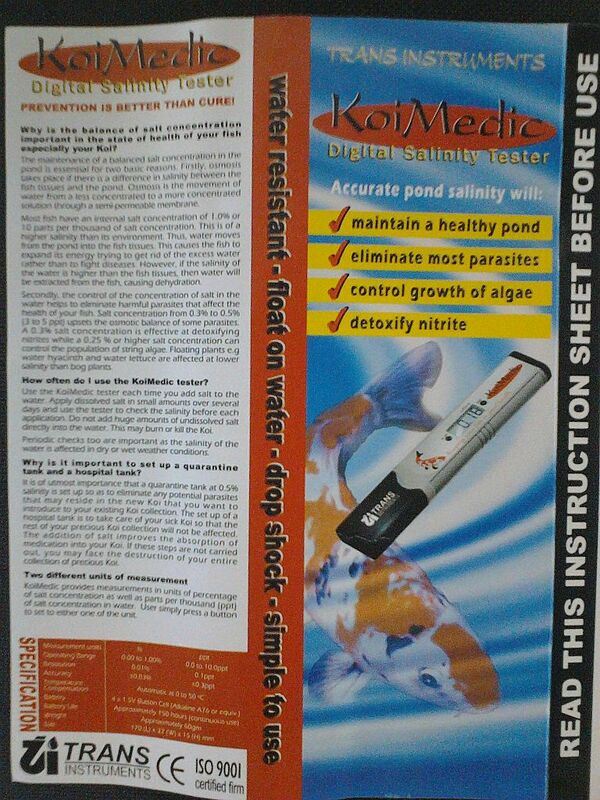 In any event unless our pond water salinity is already at 0.5% we would add S1 medication to the bag which allows for clearing your purchased koi of parasites. Take note that whatever actions you take it is impossible to completely clear all parasites from your koi. the bag and that of the pond to adjust and come as close as possible. for koi to adjust to your pond water in the bag. 4. Then lift the koi gently with your hand and guide them into your pond. 5. Discard water (it would have koi wastes by the time you get home) and bag. Another option is to use a basin, fill it with a little of your pond water, then release the koi onto the basin. After allowing 0.5 to 1 minute of water adjustment time, lift koi one by one into your pond. When new to the environment koi would ‘get a feel’ and make adjustments to the surrounding and would usually stay together at one location at the bottom of the pond for a few hours. Thereafter, they should be swimming actively in the pond with fins open. During the initial few days it is important to monitor them more closely. Koi behavior which gives indication of an impending problem includes (1) lethargic – all grouping together at one location; bottom of pond and not active (2) fins clamped (3) not eating (4) gliding against pond base or wall and rubbing it’s body against them (5) frequent jumping out of water surface. Tell-tale signs to look out for when koi are sick include (1) not swimming properly (2) stomach bloated (3) infections on body – red patches (4) scales raised and protruding from body. However at night, it is normal for them to be less active and not swimming around the pond as the oxygen level in the water at night tends to be low. To keep your koi happy, keep your pH from 7.0 to 7.8. Many factors affect the dissolved oxygen content of water. Temperature affects the oxygen-holding capacity of water. As the temperature increases, the amount of dissolved oxygen decreases. Ammonia is the primary waste product of your koi. Koi suffering with high ammonia accumulations will isolate themselves, stay at the bottom of the pond, clamp their fins, and secrete excess slime. They are also much more susceptible to parasitic and bacterial infection. Ammonia is a common problem in new ponds because the bacteria that would break down ammonia take time to grow and stay around in your filter. Though koi may be eating and appear fine, filter bacteria may not have emerged usefully from hibernation. 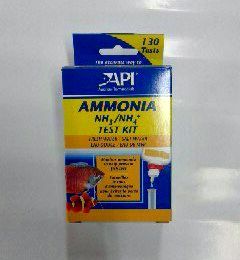 Ammonia is capable of ionization below pH 7.4 and at this level is less toxic to your koi. Above pH 8.0, ammonia is NOT ionized, and is more toxic. Koi release urine and excrement as other living organism does. In their natural habitat and these "waste products" are quickly washed away or broken down. In the pond, this task is left to the bacteria which are essential in the process. However in a newly setup pond, the bacteria are usually not sufficient. The break-down of the waste process follows a sequence: koi wastes - ammonium/ammonia - nitrite - nitrate (as the end product). The intermediate stages ammonia and nitrite are toxic to fish in small quantities. You therefore have to be especially vigilant in the pond's early phase. Nitrite levels of under 0.2 ppm are acceptable to your koi. Levels above that indicate an abnormal break-down of nitrite. If the nitrite level is higher than 0.5ppm the koi will die. With new pond it is essential to closely watch the koi daily. If you notice them displaying abnormal behaviour, it is advisable to have 20% of the water changed. Ammonia/ammonium level depends largely on pH value. The higher the pH value the more toxic ammonia, is produced from ammonium. At pH 7 the total amount consists as non-toxic ammonium. At pH 8.2 about 10% of the tested amount is toxic ammonia, at pH 9 this percentage climbs to 50%. 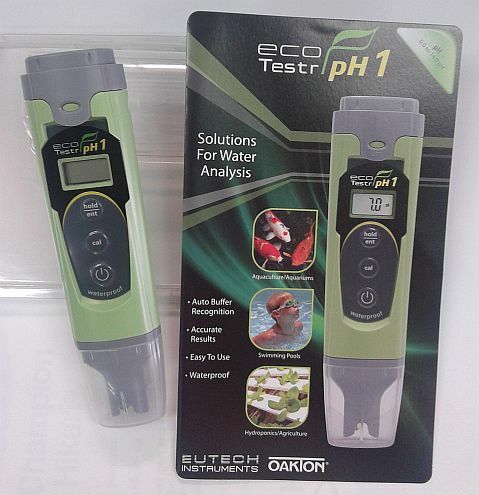 By maintaining a neutral PH level in your pond the danger of ammonia is removed. Nitrate is a vital source of nutrition for plants, but aquarium plants are by nature not accustomed to large quantities of it. With high levels of nitrate in the pond, the danger of attracting unwanted algae rise especially the dreaded beard algae which prefer to feed on nitrate. Nitrate in water is not harmful to koi like Ammonia and Nitrite. They are usually absorbed by the algae in the pond walls and also displaced with regular water drip of fresh water supply. Koi are not aggressive except when spawning. Males will chase and harass females but never fight. It has been commonly observed that if a koi gets sick, other koi will try to help the distressed koi swim.